It's something we've all mumbled while shoving pizza down our gullet: "If I could get paid *chews* for eating pizza, *takes another bite* I'd be rich." Well, here's a napkin to wipe those greasy fingers, because your dream job just opened up, and it requires you to hop on Google Flights and book a flight to the U.K., stat. MyOffers, a U.K.-based website, has announced it's looking to fill two open positions as part of their Testers Keepers program: Pizza Hut secret diners. Job duties include taking their money (£125 or $165 USD), handing it to the cashier at Pizza Hut, eating all the pizza, taking photos and, finally, writing up a review published on MyOffers. 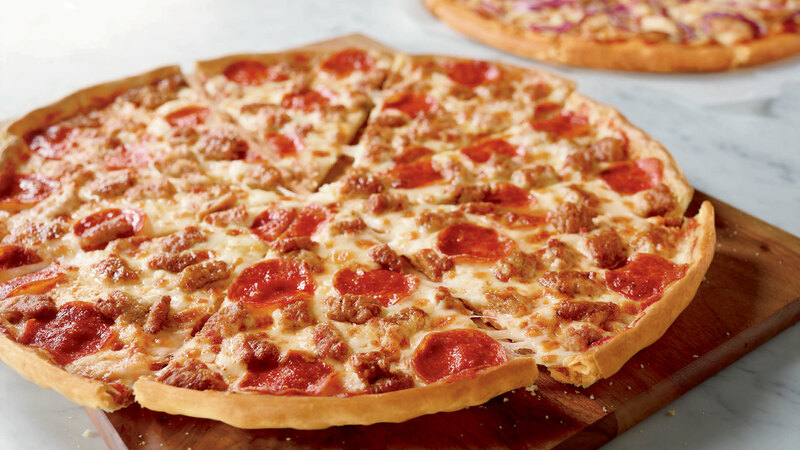 Those lucky enough to get the job can eat anything on its "Italian-American cuisine menu" (forever describing Pizza Hut this way moving forward; thanks, MyOffers) — including the cheesy bites pizza that just made a comeback. Now that you're 100 percent sold on this and are convinced you have the knowledge, know-how and appetite to take this on, there's one job requirement: You must be located in the U.K.
We'll rub the salt in your wounds a little further: Applying is incredibly easy too. From now through Aug. 31, all you have to do is fill out MyOffers' submission form, sit back, cross your fingers and hope you're chosen.